This rich, creamy Rosa sauce combines everything you love about red and white sauces into one tasty pink dish! This Valentine’s Day do something unique and fun with your loved one and stay IN with this fun pink sauce, candles and a champagne to share. This week, Bertolli® sent us a box of sauces and some other goodies and challenged us with creating a Tuscan inspired dish to celebrate Valentine’s Day Dinner a little bit early. 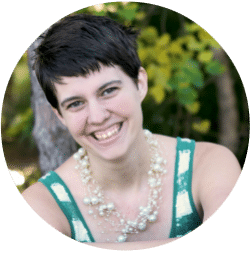 My husband is the real cook in our family, so I immediately got him involved coming up with ideas that would make us think about Tuscany! 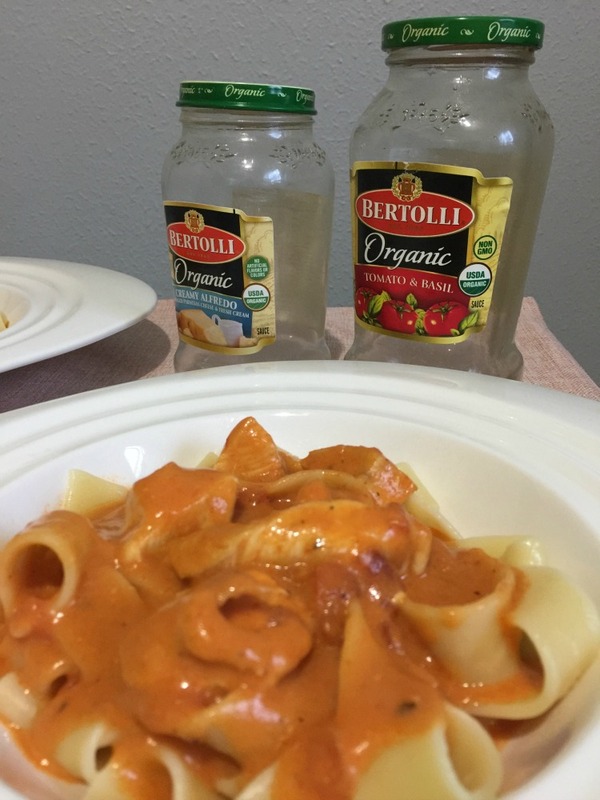 Bertolli® is the only pasta sauce brand that comes from Tuscany, so we were excited to try something new and fun inspired by this brand and the beautiful city it was born in. 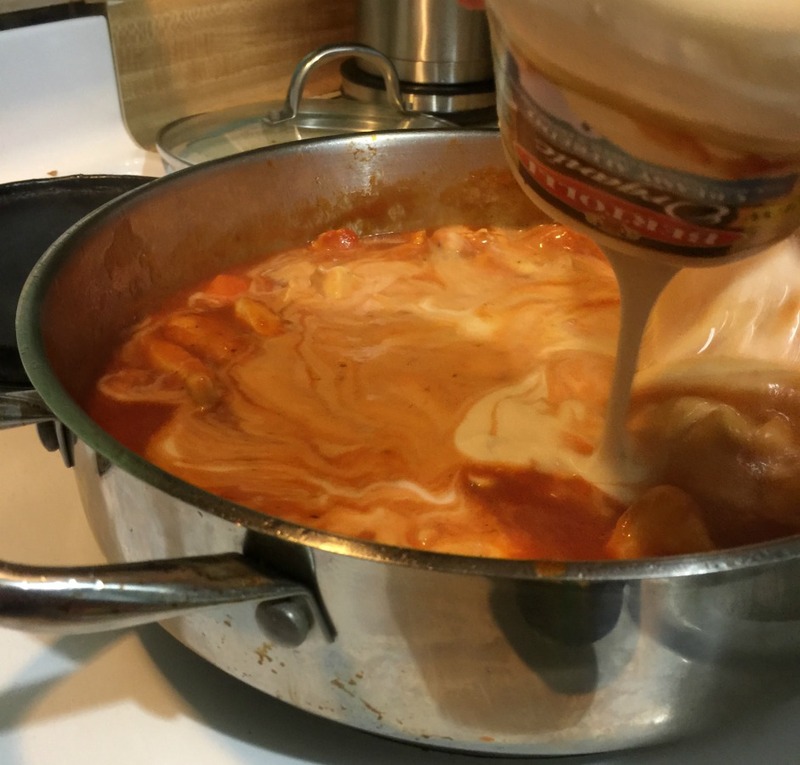 We used Bertolli® Organic Creamy Alfredo Sauce and Bertolli® Organic Traditional Tomato & Basil Sauce and decided to mix the two together to combine the delicious solo flavors into something amazing. 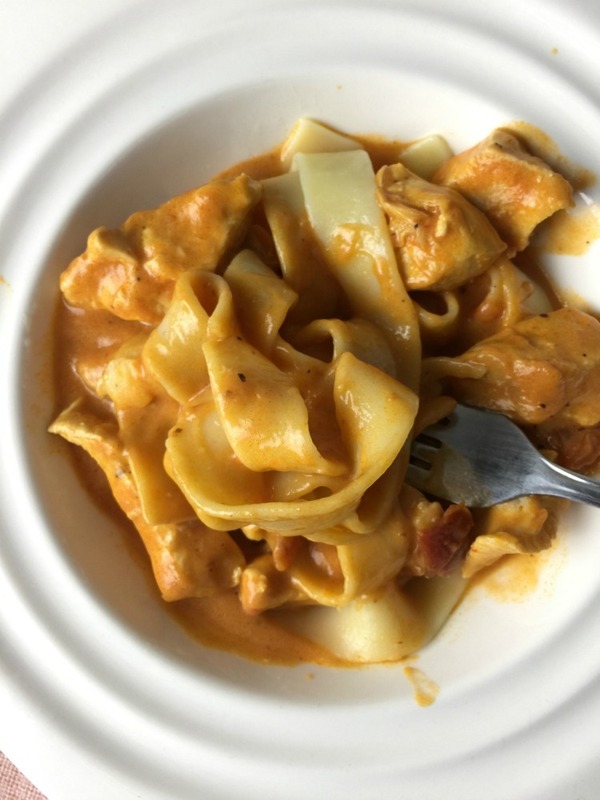 We used thick Pappardelle noodles which made this dish look and feel as fancy as the rich sauces we were using! The Bertolli® Organic Traditional Tomato & Basil Sauce is made with Romano Cheese (a favorite), extra virgin olive oil and the plumpest tomatoes! The Bertolli® Organic Creamy Alfredo Sauce uses organic ingredients like fresh cream, butter, whole milk, aged cheeses and brings so much creamy flavor to the dish. 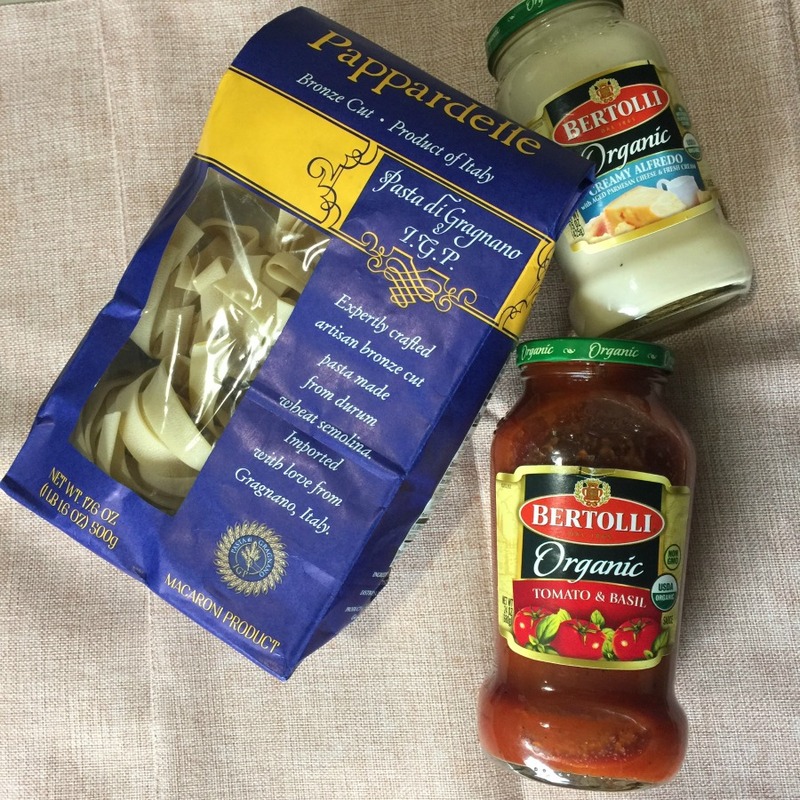 Both pasta sauce are USDA organic and made with non-GMO ingredients. 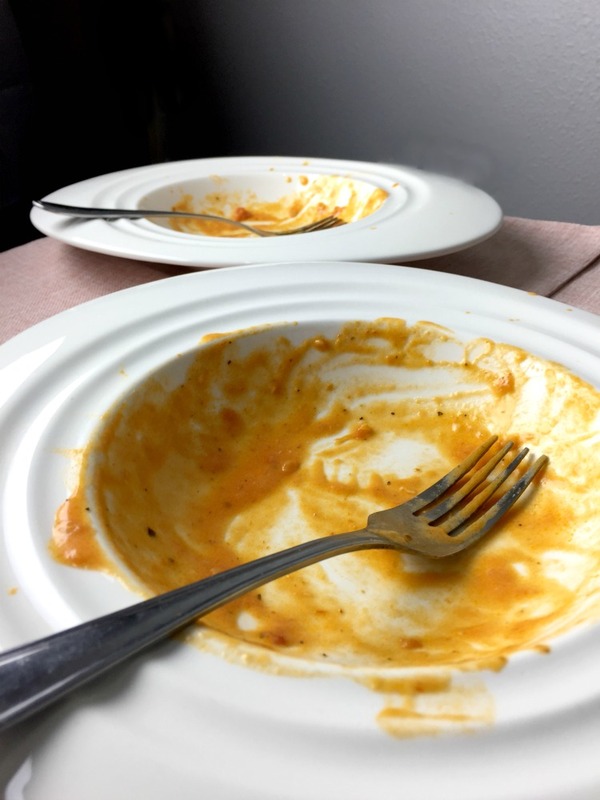 Let’s just say, that after we finished our meal, it was all that we could do not to lick the bowls clean. SO. Good. This meal is honestly a lot like our relationship. Mixing two things that look and act so differently but it just work together perfectly! It’s a perfect match! Creating something new out of two very different things! 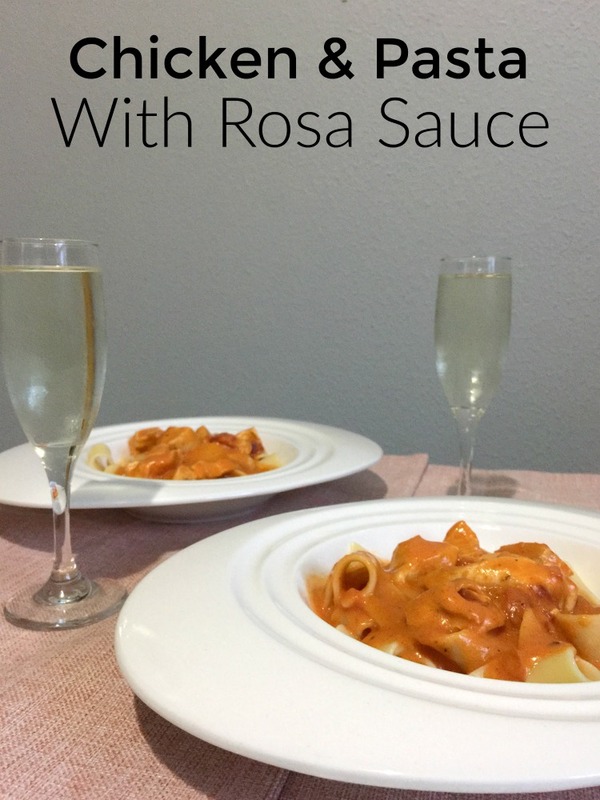 If you are looking for more recipe inspiration this Valentine’s Day, try one of these recipes using the same delicious Rosa sauce we made. 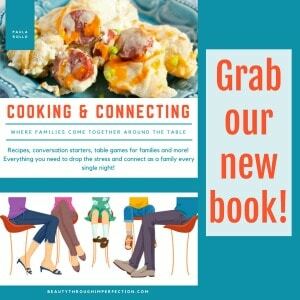 I hope you enjoy this recipe for your Valentine’s Day Dinner or any night of the week! Hey Buddy!, I found this information for you: "Chicken & Pasta With Rosa Sauce". 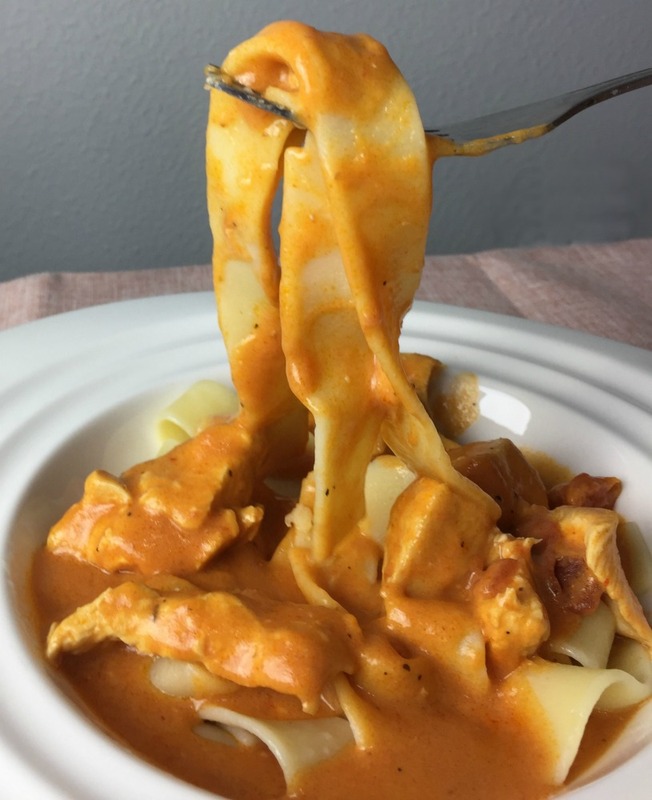 Here is the website link: https://www.beautythroughimperfection.com/chicken-pasta-with-rosa-sauce/. Thank you.